World Leaders have committed to 17 Goals for people and planet called the Sustainable Development Goals (SDGs) or Global Goals. The Sustainable Development Goals, if successfully adopted and worked at by each country, could achieve these 3 things, so no one gets left behind. 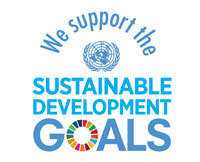 The Sustainable Development Goals apply to all countries – including Ireland – meaning that they are universal. It does not matter whether you live in a poor or rich country. The goals apply to everyone. For this reason, and with the cooperation of everyone, the Sustainable Development Goals have the potential to change everything – how we live and work, with whom we work, our views of the world, our vision and values for the planet – today and into the future. These challenging goals are in place from 2015 – 2030. For all of these reasons it is, in the first instance, vital that EVERYONE KNOW ABOUT THE SUSTAINABLE DEVELOPMENT GOALS. This is so that we can all take action at a personal, local, national, European, or global level. This powerpoint presentation is meant to be something you can dip in and out of. It will hopefully help you learn about the Sustainable Development Goals and how you can link the goals to your life – be it personal, work, education, community, etc. We hope you get something from the powerpoint. We would really like to hear your impressions of the powerpoint and how we can improve or add to it – for the benefit of everyone.